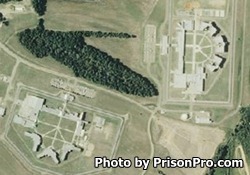 Yazoo County Correctional Facility is located in Yazoo City Mississippi. It is a mixed custody facility that was last accredited by the American Correctional Association in 2012. While incarcerated here inmates can earn a GED and receive tutoring. Offenders can also receive job readiness preparation, take computer classes, participate in bible study, and receive character counseling. The visiting hours for this facility are unknown, if you know the visiting hours please leave a comment below. For more information contact the correctional institution at the telephone number provided.